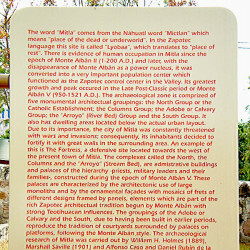 Mitla, meaning “Place of the Dead”, lies at the south eastern end of the Tlocolula branch of the Oaxaca Valley and was the major political and religious centre of the Zapotec Civilisation after Monte Alban was abandoned. 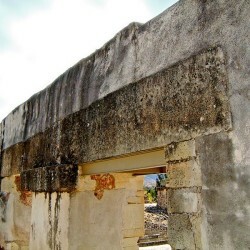 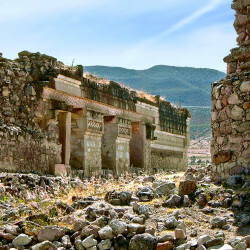 Mitla has been occupied since 900BC when it was a humble fortified village, and although its earliest monumental buildings date from 450AD, around the time Monte Alban was at its peak, its real rise to prominence came from 800AD onwards. 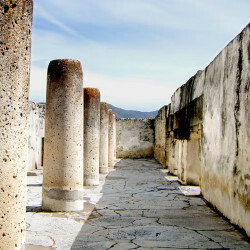 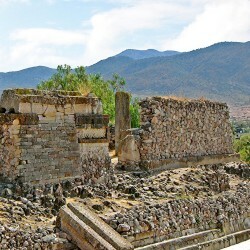 The city was the most powerful religious centre in the Oaxaca Valley when the conquistadors arrived and the Catholic missionaries made great efforts to dismantle the city and diminish its power. 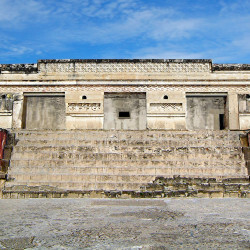 They also built Catholic churches over the existing temples and converted the palaces into monasteries and living quarters for the Christian priesthood. 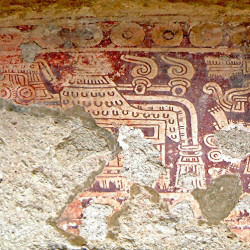 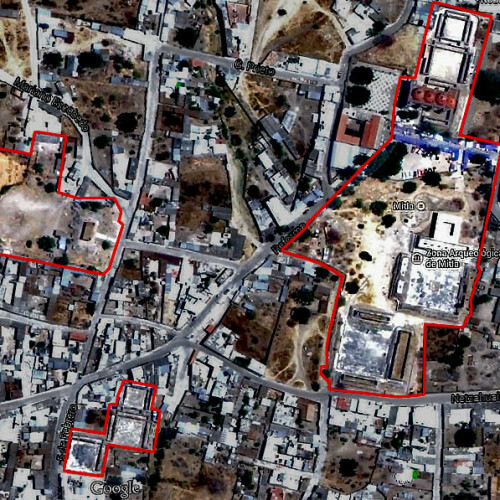 Satellite ImageToday, the ancient city is little more than a few remnants spared by the missionaries and colonialists, with just five badly ruined groups of structures remaining: the Church Group, named so by the Catholic church built amongst it; the Palace or Columns Group; the South Group; the Adobe Group, named by the materials that were used; and the Arroyo Group, named so by the presence of a nearby stream. 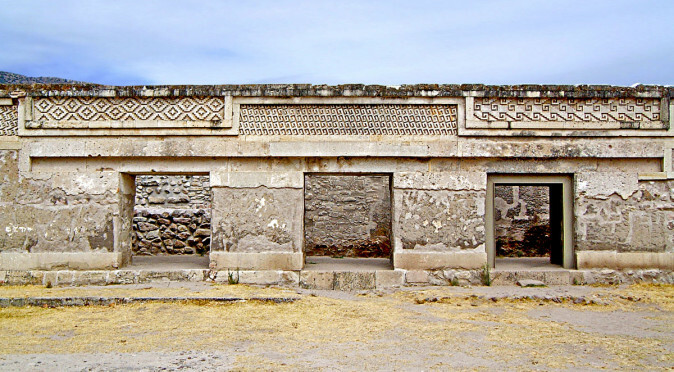 But whilst the scale of the site, the lack of talud/tablero temples or pyramids and the uninspiring location make Mitla far less dramatic than most other Mesoamerican cities, the few buildings that stand are amongst the finest ancient buildings in the world. 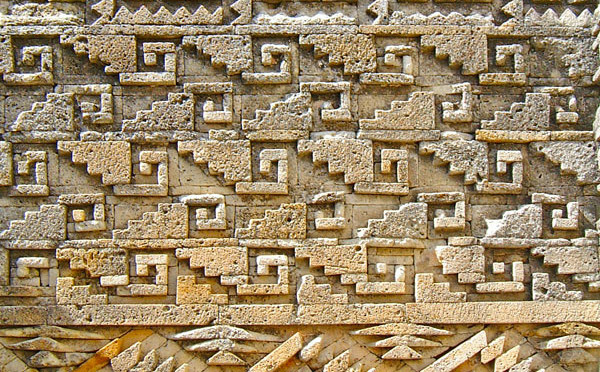 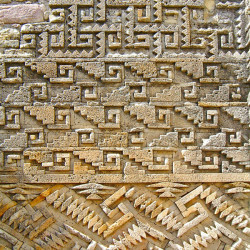 In particular, the use of intricate geometrical stepped-fret designs to decorate fascias and corridors speak volumes about the technical ability and opulent resources the builders of Mitla had at their disposal. 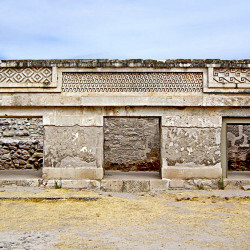 This intricate work is juxtaposed by the use of simple megalithic blocks raised over doorways and single peices of volcanic rock that were cylindrically carved and used as structural columns. 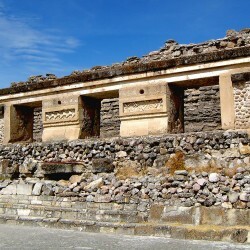 There are also excavated tombs that sink remarkably beneath the main palaces and patios and a mysterious “Column of Death”. 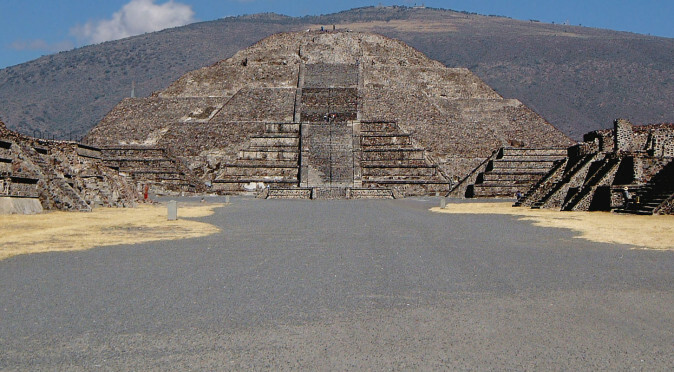 So if you get the chance, then certainly take the time to visit this marvel of the ancient world. 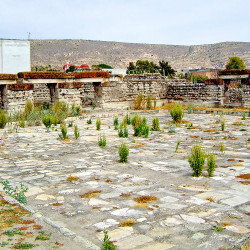 There isn’t just the few remains of a once great city to admire, there is also mystery of what lay here that made the Catholic missionaries feel they had to dismantle and bury it – namely the “Temple of the Underworld”. 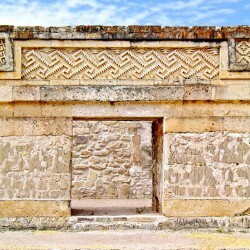 Mitla is believed to be the legendary "Abode of the Dead" and home to the "Temple of the Underworld", but is it genuinely this hellish town?